Home Sortzi, Gretchen Awareness Is Everything: Why Wait? Awareness Is Everything: Why Wait? Title: Awareness Is Everything: Why Wait? 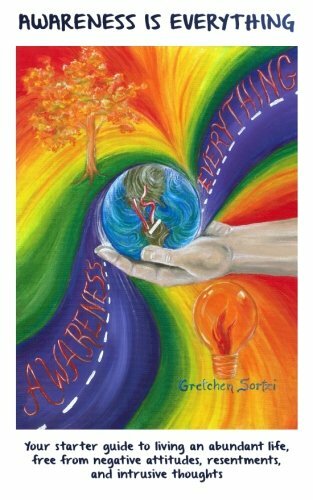 Awareness is Everything, by Gretchen Sortzi, is a starter guide to living an abundant life, free from negative attitudes, resentments, and intrusive thoughts. Gretchen's teachings open our mind to changing our thought patterns and managing our emotions to develop the behaviors and actions that serve our greatest potential. You will discover what is holding you back from what you desire and be able to imply simple and easy techniques to see a quick and rewarding turn around. Gretchen Sortzi has been in the health and wellness profession for over 15 years. Owner of several Curves franchises, she has helped countless clients achieve better health and wellness. Gretchen is a dynamic speaker who has helped change the lives of others. She was recently a featured presenter at a nationally recognized TedX event with world-wide distribution. In 2012, Gretchen created M.A.D.Empowerment and is bringing this innovative presentation to audiences across the nation. M.A.D.Empowerment centers on the idea that Awareness is Everything. This book uses the M.A.D. principles to lead the reader to spiritual, mental, emotional and physical wellness. This is Gretchen&#x2019;s first book.